Louise Young. 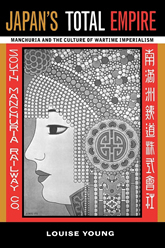 Japan’s Total Empire: Manchuria and the Culture of Wartime Imperialism. University of California Press, 1998.